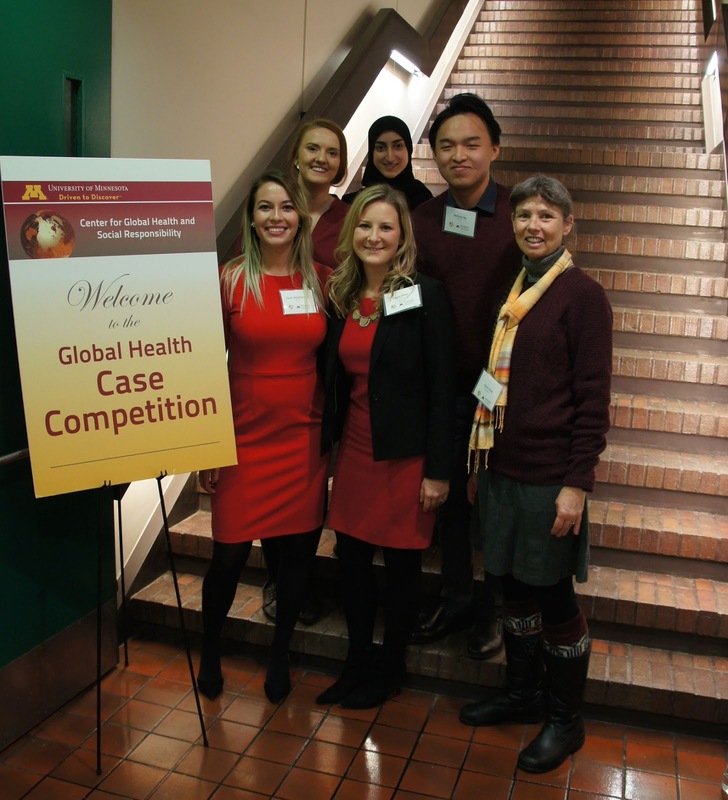 The University of Minnesota Global Health Case Competition (GHCC) is a unique opportunity for students from across schools and disciplines to come together to develop innovative solutions for current, real-world global health issues. Developing skills in learning from different people with diverse perspectives. Interdisciplinary teamwork is lacking in their school's curriculum and this experience in working across disciplines and backgrounds will be invaluable in future careers. Being able to recognize their own weaknesses and knowledge gaps and to know who or where to go to as a resource. Learning the complexity of budgeting and evaluation. Is your interest piqued? 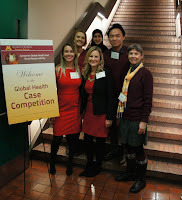 Read through the details about eligibility, timeline, and expectations on the Global Health Case Competition (https://globalhealthcenter.umn.edu/events/global-health-case-competition?utm_source=Center+for+Global+Health+and+Social+Responsibility+Newsletter&utm_campaign=8f33f2031d-EMAIL_CAMPAIGN_2018_10_01_07_11&utm_medium=email&utm_term=0_0a0004ea5a-8f33f2031d-228425657) page. Also, come learn more about the experience at the information session on October 22. You'll hear from students who have competed and have a chance to ask whatever questions you have before the application opens on November 1. A key component to the student experience during the GHCC (https://globalhealthcenter.umn.edu/events/global-health-case-competition?utm_source=Center+for+Global+Health+and+Social+Responsibility+Newsletter&utm_campaign=8f33f2031d-EMAIL_CAMPAIGN_2018_10_01_07_11&utm_medium=email&utm_term=0_0a0004ea5a-8f33f2031d-228425657) is that each student team has a coach. Coaches are faculty, professional staff, and post-graduate and post-doctoral fellows/residents who ask probing questions, guide the team to resources, and often help arrange a trial-run of the team's presentation. Coaches are expected to spend about 1 hour getting to know their team ahead of competition week plus 2-3 hours with their team during competition week. Coaches are also strongly encouraged to be at Competition Day on Saturday, February 2 in order to support their team. If you are interested in being a coach or would like to nominate someone else to coach, please fill out the Coach Interest/Nomination Form (https://docs.google.com/forms/d/e/1FAIpQLSf-r_XBdBMK_LFY4LcON7eBrtfaGSfHG1n9tB9GC6eeIQUiiw/viewform?utm_source=Center+for+Global+Health+and+Social+Responsibility+Newsletter&utm_campaign=8f33f2031d-EMAIL_CAMPAIGN_2018_10_01_07_11&utm_medium=email&utm_term=0_0a0004ea5a-8f33f2031d-228425657) .